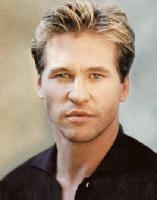 See the gallery for quotes by Val Kilmer. You can to use those 4 images of quotes as a desktop wallpapers. Mark Twain had a way of telling stories that shifts your consciousness away from labels. Mark Twain is as big as America. He really is. Most films made about the future acquiesce toward death, and I don't want to be told how to define my future. My father was raised in the mountains of New Mexico, and he picked cotton for a dollar a day. He was working for the family from the time he was 7. Peter Sellers was just a brilliant actor, and also comedic. There are a thousand ways to play any role. There are lots of actors who are awful people, but nobody talks about them being awful because they've made billions. 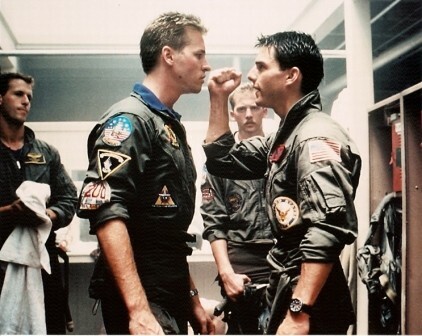 There was no one around called 'Val' when I was young, so I wanted to be John or Bill. Now I like it. There's nothing good about divorce. 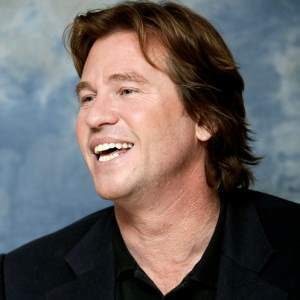 Much more quotes by Val Kilmer below the page. What I do for a living is listen. When you're young, you're always concerned about how you're being seen and how you're being criticized. Why do women get paid less money? It doesn't make any sense. You can ask anyone who knows me, I've never said a racist or prejudiced thing in my life. You just don't understand humility until you have children and get divorced. I don't think of my life as a cliche, but I'm a cliche eccentric. Complete with a strange name - I mean, who's named Val? How many Vals do you know? I mean, really? I don't watch television, but I saw 'The Office' by accident. I thought it was so sophisticated, the Victorian love story, and so bold. We'd do anything, all of us, to not work in that environment, and then I'm sitting there watching hours of it. I never had a business plan. I did, actually - I'm lying. My business plan was to get lucky, and I did; that was great. And then my second business plan was to get lucky again, and there, I faltered. I'm going to put a museum on my ranch and people keep saying, 'That's a huge idea.' Yeah, it's big, but not bigger than the average big movie. A hundred million dollars in the art world is a substantial amount of cash to do anything. That's maybe a big gallery's total sales for a given year. It's fun to look at people that are so good at acting that aren't actors, like David Bowie creating a mystique about rock n' roll. I've listened to 'Ziggy Stardust' as much as any rock n' roll fan - I don't really know what it's about, but it sure is fun to think about David Bowie as this mad creation. Mark Twain created a new type of literature and not a lot of people can say that. Not a lot of people can say they're absolutely original and completely self-made. My children have absolutely no interest in my fame. They're very sophisticated, and they have a spiritual perspective on material things because we go to church. One out of 100 citizens of the U.S. is going to prison, and it's not that the system is making criminals, it's that it's making criminals better criminals. We're breeding them like rats and it has to change. The good reviews that people have told me about through the years haven't really helped me do my job. So it's kind of like, if your hair turns out right you want to go out, you don't just want to stay in and look in the mirror. That's kind of what reading a review is like to me; it's like reveling in something that's just one night. There was such a relationship between the buffalo and the American Indian - the Indians would eat them, live inside their pelts, use every part of the body. There was almost no separation between the people and the animals. Unless a Western's made money - doesn't matter who made the money, doesn't matter what the subject is - if the last one didn't make any money, you can't make another one for a four-year period. Westerns more than any genre. We take what's shown on television as the truth, and it isn't. News isn't even the truth on television. If you look up the definition of what news is, it isn't that what we're watching on the new - it's entertainment. With legitimate journalists I've always had a great time - I've never gone out of my way to court the press. That's probably cost me some money, but I've always had the respect of my peers. Daryl Hannah likes to goof around with fashion, but she does have pretty impeccable taste. Hollywood is wonderful, but it does eat its young. Hollywood's like a warehouse. It's just a place that you go. What's interesting in the warehouse has to do with the creative people. I can safely say that no one who has ever won an Oscar didn't want to win an Oscar. I just don't think I've ever been comfortable at public functions and selling myself as an entity. I think death is just a transition to another state of consciousness. I think part of my reputation has to do with the difficult roles I've played. 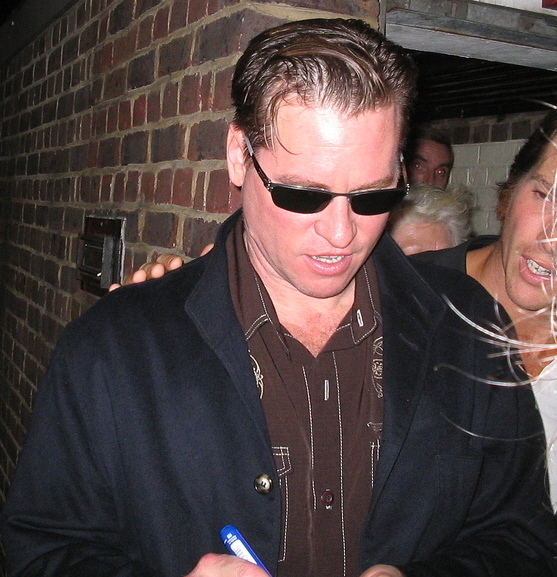 Actors do tend to get identified with their characters. I'm a character actor, but I look like a leading man. If you're in a hit movie, it's good to be in another hit movie straight away. It is a weird thing that actors have people applaud when they're done working. I still find that entertaining. It's a really weird thing, modern divorce. I found out I was getting divorced on television. That was kind of weird. It's the persona that makes you a leading actor. A leading actor has something extra that's fun to watch. But it isn't usually about acting.